Most of us spend our entire lives looking for love. Our youth is consumed by it. No matter how much our parents loved us, it’s not the kind of love we crave. Nothing can substitute for romantic love. Dating feels like heaven, except when it feels like hell. You fall in love, it’s amazing, and then it just flatlines. He acts like he loves you, but you’re never quite sure if he really loves you. You don’t feel completely loved from top to toe. You keep yourself braced for the day you’re sure will come, when he decides he’s bored with you and it’s all over. Why is it so hard to feel loved, even when you’re in a committed relationship? Two things could be happening. You’re better at giving love than receiving it. Dr. Harville Hendrix and his wife, Dr. Helen LaKelly Hunt, made their living talking about what makes relationships last. They developed an influential theory about why we choose the partners we choose. Then they designed a style of couples therapy based on that theory. And they were on the verge of divorce. Not only was it humbling for them, but it was humiliating. They were internationally renowned relationship experts! And they couldn’t make their own marriage last? A surprising conclusion, to say the least. They’d been together for decades. They were kind, thoughtful, and loving to one another. But knowing they were loved wasn’t the same thing as feeling loved. They came to understand that, although one partner can offer love, the other person has to be able to receive it. That’s not always easy to do. For example, say that your partner never compliments you anymore. You mention it to him. Afterwards, you notice he’s making a noticeable effort to say nice things to you. But his compliments leave you cold. “He’s only doing it because I told him to,” you think. Or maybe you feel as if you never spend time together. You tell him you wish he’d stay home more, rather than always going out with his friends. So, he arranges to spend the entire next weekend with you. By the end of the two days, you’re snapping at one another. You don’t feel loved; you just feel irritated. 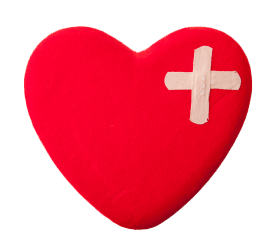 We can invalidate, reject, or block our partner’s loving gestures without even realizing it. Do it for long enough, and he’ll stop trying. If everything he does to prove his love to you isn’t good enough, he might think, then why bother? Try to notice, appreciate, and feel the love in the everyday things he does for you. Let the knowledge of his love sink into your heart. He may be showing you love in more ways than you realize. You don’t believe you’re worthy of being loved that much. Dr. David R Hamilton knows a few things about love. In I Heart Me: The Science of Self-Love, he writes about his tough journey from feeling like he had to make people like him, to realizing that he was enough just as he was. It’s a journey we all must make. It starts out with feeling you’re not enough. Then you decide you’ve had enough of feeling that way. You step into the self-confidence of knowing you are enough. Once you’ve reached this stage, you don’t need to make anyone like you. You are okay with yourself, just as you are. You understand that being lovable has nothing to do with achievements or appearance. It’s a gift given to all of us from birth. Because you won’t allow someone else to love you more than you love yourself. It’s almost as if the amount of love you feel for yourself puts a cap on the amount of love you can absorb from others. If someone loves you more than that, you won’t be able to believe it. It won’t feel real to you. If you want more love in your relationship, then it follows that the place to start is within. Work on loving and accepting yourself. Loving yourself unconditionally can take a lifetime, but it’s worth it. When you love yourself, you can accept the love other people give you more easily. You know you deserve it. It might seem counter-intuitive to look within when you don’t feel loved in your relationship. It can be easier to blame him. Instead, look for indications that he’s trying to love you. You might just be amazed at how much love was there all along…waiting to be received. This entry was posted in Relationships, Self Help, Self Improvement and tagged love, relationships by James Bauer. Bookmark the permalink. Thanks for the info. I am in a relationship where I’m always the one who shows caring. I initiate texts/calls. I say I care. I don’t feel loved and in my mind I know it is over. I’m accused all the time of having another on the side but that is far from the truth. I actually think it is totally the opposite. He always has women to speak to on social media. Like I said, I know that it is not going to work and it is over but I can’t seem to get him to see that. Hello I’m 31 years old. I’ve been married for 10 years. My husband is 29 years old and we have 5 kids. During our marriage, on multiple occasions he has had infidelity issues. I’m so in love with him that I just let it go but this last one really messed me up mentally. I thought we were doing great in our marriage. At this point I felt lost and wanted to see why was I not good enough for him. I started to talk to someone but in my heart I knew I didn’t want that other person. I guess I can say just needed the attention I wasn’t getting from my husband and trying to see where was I gone wrong. 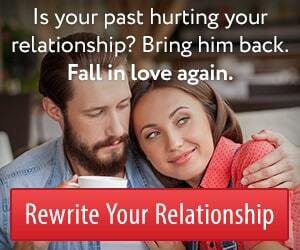 Thinking I could use it to fix what was wrong in my own marriage. My husband found out about it and yes, I did lie to him about it at first then I just told him because all I want is my husband now. We both have severe trust issues. I know I will not talk to anyone again and I want him to see that. I don’t know what to do to show him that I love him and only want him. Hey, thanks for your post. I’m so very sorry to hear about the trust that’s been broken in your marriage. I can understand how painful that must have been all these years. Sometimes it takes an outside perspective to help you work through these types of issues when you’re so close to the situation. I want to suggest that you consider joining our Irresistible Insiders Club with a members only private forum. I’m in love with a man who is going through a divorce. I’ve been with him for the past 6 yrs and he seems not to be able to show love. I love him dearly and sometimes feel like withdrawing from this relationship because I’m a communicator and love to share feelings and he never talks about how he feels. Whenever I suggest to him that we must take sometime out, he tells me that “I’m his rock”. I’m not willing to date other men because of what I feel for him. Can you really tell me that he cares without saying it that much? He keeps on saying that he will never hurt me but I just feel that he is not there enough. Can you guys share some insights with me? Hi Lizzy. This special report/video might help you decide what to do next. 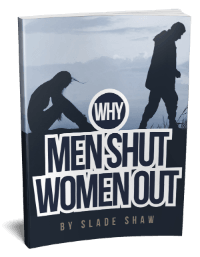 It’s about emotionally unavailable men and what to do when you’re in a relationship with one. Thank you Lorna. I thought of this process and that all I need to do is be there for him and relax. It’s hard but you just gave me the courage to be there and do it for him. I love him that much and yeah… love is selfless. I hope this piece is also helping others out there in the same situation. Thank you once again dear! I feel so much better! Thanx again Lorna. I’ll keep working on it as I’ve been with him for the past 6 yrs and he really never did anything for me to doubt that he loves me. I’ll agree that he needs space as long as he needs me, I’ll be there. I love him so much and true… our love will keep us together. When we are together it’s electrifying and awesome! Divorce is not an easy process and he does freak out sometimes but I’ll hold it together! He then assures me that his moments are not directed at me…. so… it will be hard but I’ll hang in there because of the love we share. Ciao for now! I hope others can share their experiences coz I wanna make this work and be strong for him! For a long time I was annoyed in my prev. relationship, didn’t think I deserved that much love, so I rejected my ex showing feelings for me. With time he just kinda stopped. And I came out of the relationship, blaming and hating myself. I try to be as open as possible, but dang it can be hard sometimes…. I have discovered I also have commitment phobia as well. Blergh! But to be aware is half the battle, right??! Thanks for sharing from your personal experience. It’s lovely to see someone sending out so much love and goodness into the lives of others…even when many others have let you down in so many ways. Never stop being the beacon of light that you are. James, I really really like this article!! It validates my thoughts that I have questioned myself about. My ex-husband didn’t feel loved and found it harder and harder to show/give me love which I craved and eventually became bitter. I loved him very much and felt that the things I did for him and our children and home were so evident of my love for him. His many insignificant complaints about “us” never made sense and he pulled away more and more over the last few years. He had an affair with a woman 15 years younger. When I found out, he told me he hadn’t loved me for years. I filed for divorce (after 30 years of marriage) and within a year he married the woman. Of course I was devastated and through my mourning and healing times, I realized that he just wasn’t capable of receiving love and that he really didn’t love himself and couldn’t love me. Maybe he has found someone he can love without reservation, who knows!